I was in the mess to prepare housekeeping course file so I stop blogger for so long. Finally my course file has done so was in the mood of shopping, coincidentally Isetan is doing their Pre-Sales so when there to grab something for my lovely sister sis my mum was telling me to buy something as a gift. I am getting married so you can buy anything. as gift. Btw that, Isetan KLCC has renovated in a new look now. they change every floor's design and i am still not used to the changing of the layout. 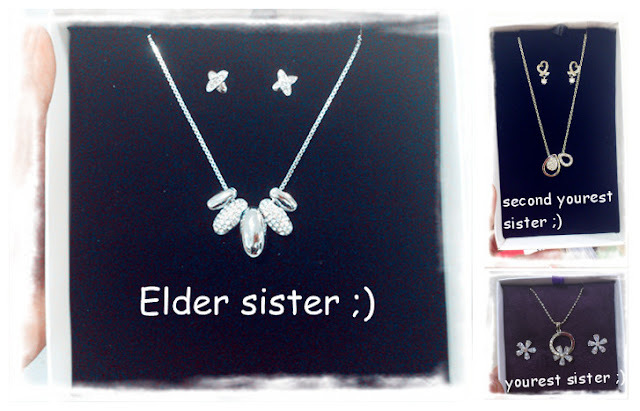 While, in my mind, I was thinking to buy sis something they can keep for long term so I decided to buy jewellery.